Sixteen former Heatherley students have joined together to form the ‘Lots Road Group’. 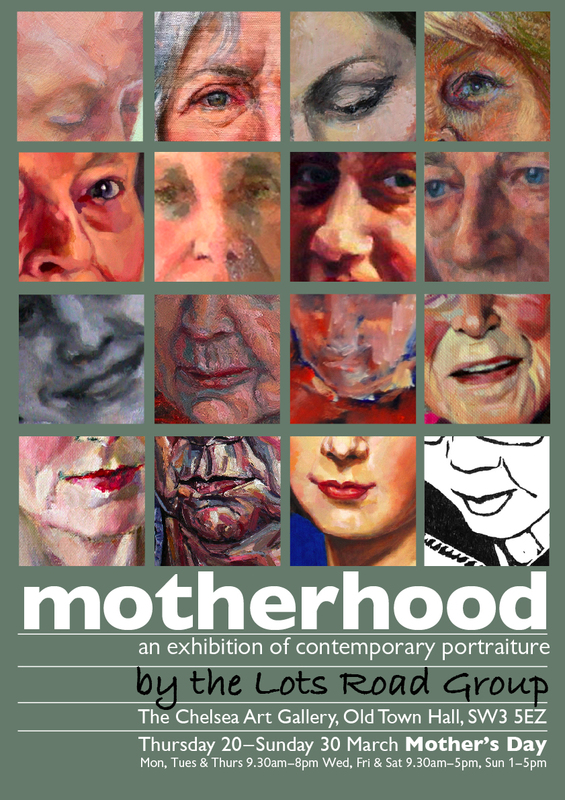 They will be holding their first exhibition, ‘Motherhood’, at the Chelsea Library, Chelsea Old Town Hall, later this month. The show opens on the 20th of March and runs until Mothering Sunday, the 30th of March. It will later travel to Heatherleys for the week commencing Monday 12th May. Exhibitors include: Alla Broeksmit, Martin Burrough, Nichola Collins, Katherine Firth, Christine Klein, Sharon Low, Viviana Macchi Di Cellere, Sarah-Jane Moon, Hilary Puxley, Coleen Quill, Lucinda Rendall, Sarah Elizabeth Reynolds, Sarah Richardson, Elizabeth Shields, Mark Stevenson and Stella Tooth. This entry was posted in Uncategorized and tagged Chelsea Old Town Hall, Motherhood exhibition, Stella Tooth. Bookmark the permalink. This should prove to be an exciting and educational event. !6 former students from Heatherleys at the same event ! All demonstrating their own unique style and diversity..
Now there’s testimony of the quality that goes through the doors of this amazing art school.